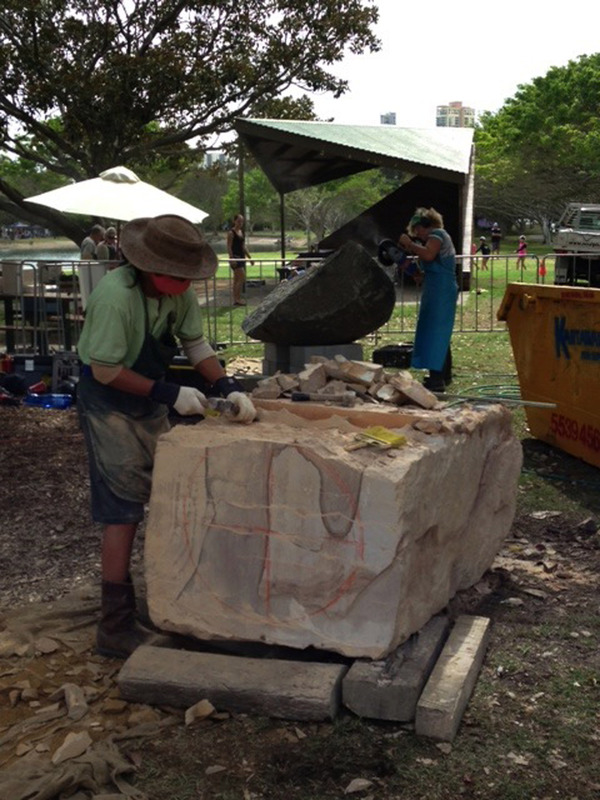 8th – 18th MARCH 2014 – EVANDALE PARK, ARTS CENTRE GOLD COAST. 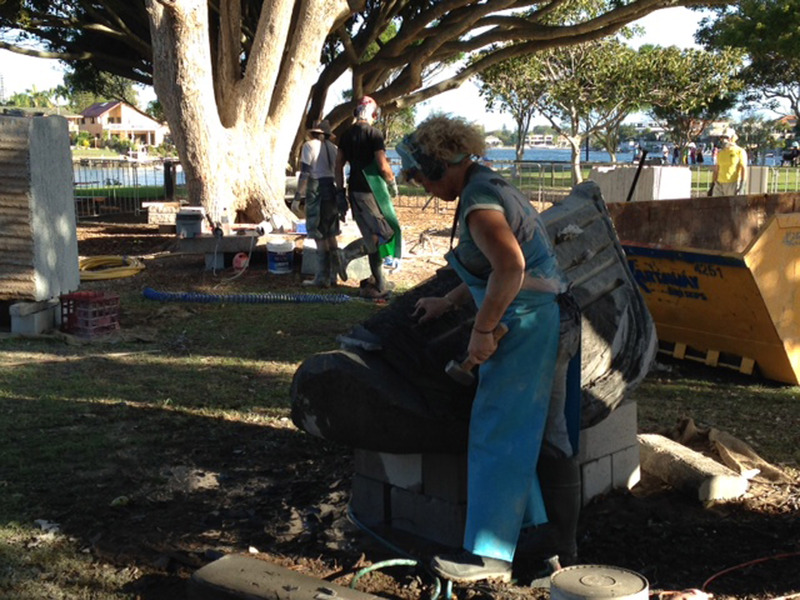 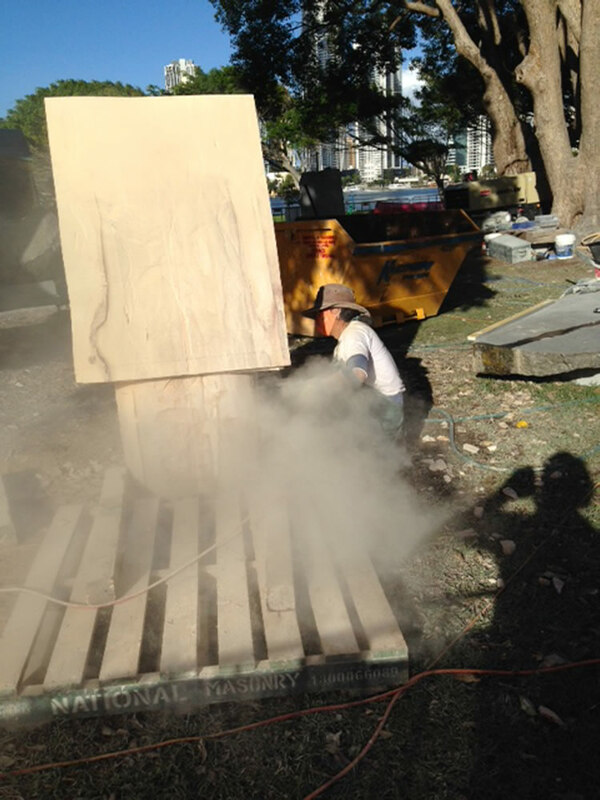 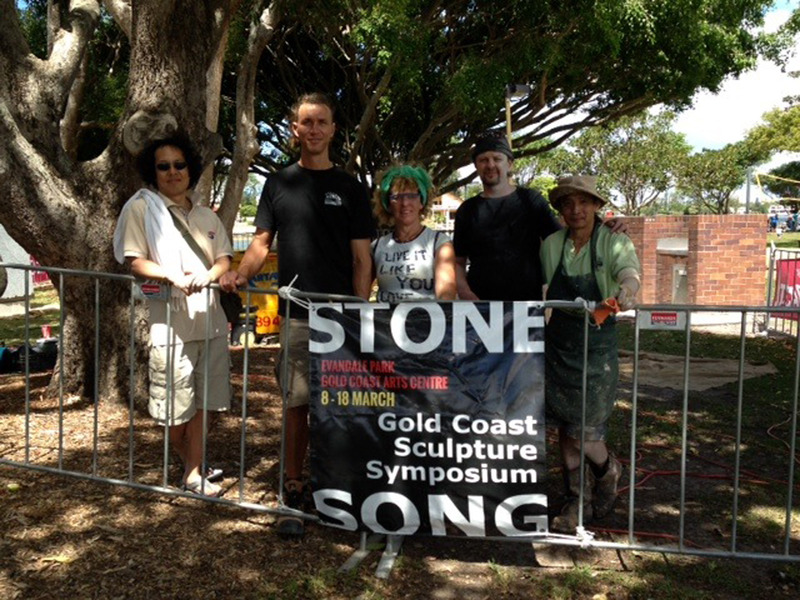 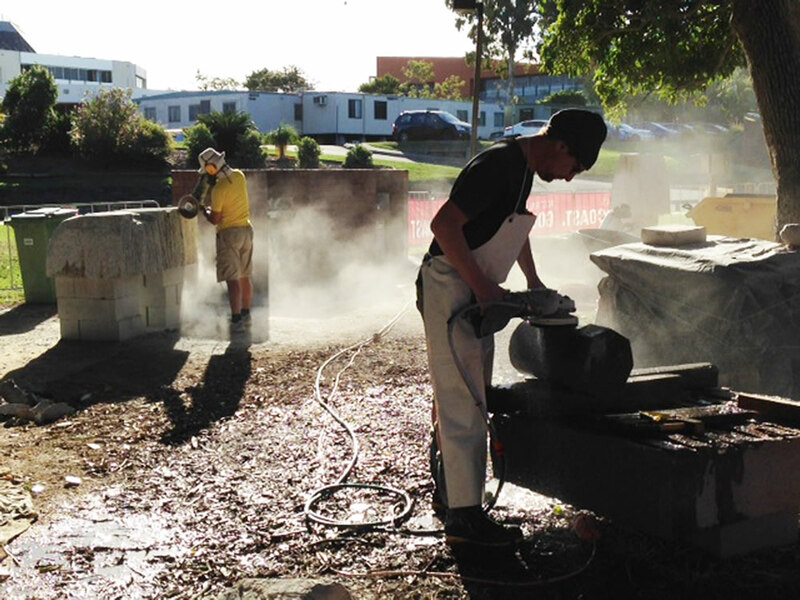 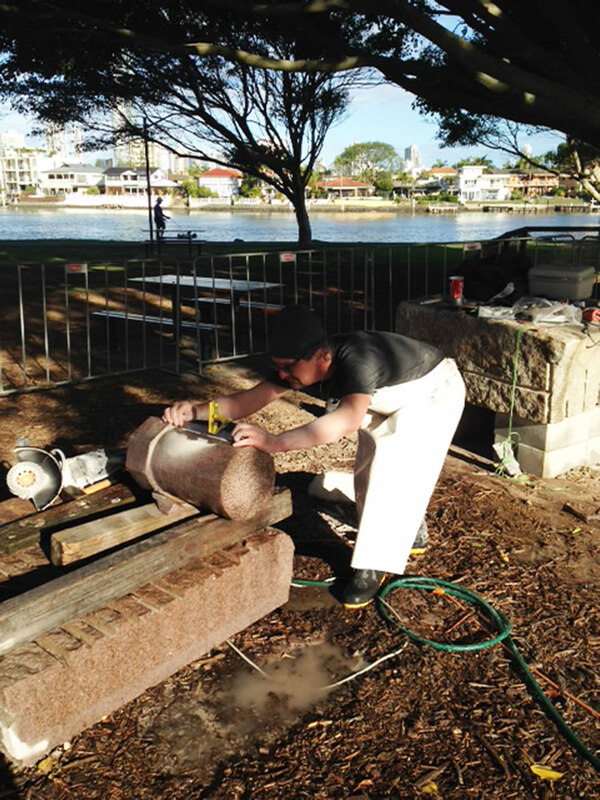 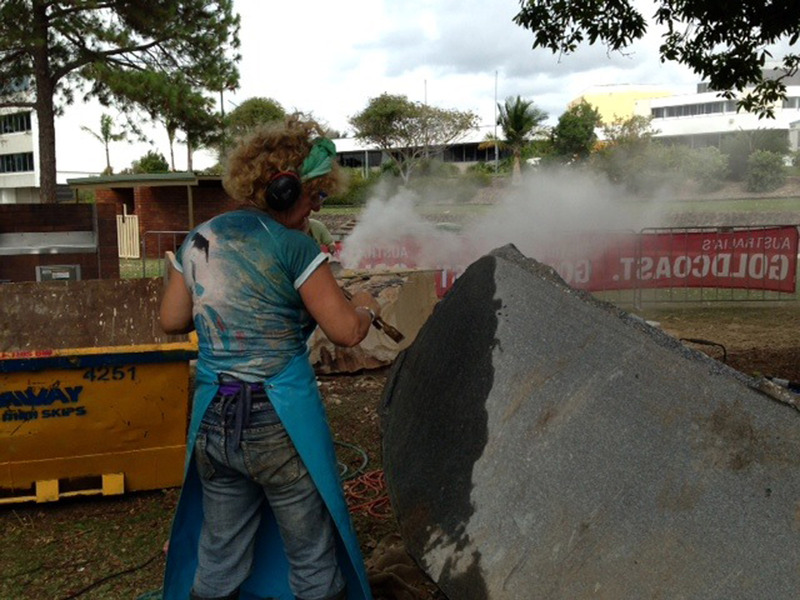 Stone Song Sculpture Symposium is the vision of a group of dedicated and passionate professionals working together to deliver dynamic, high caliber public art in Queensland’s community spaces. 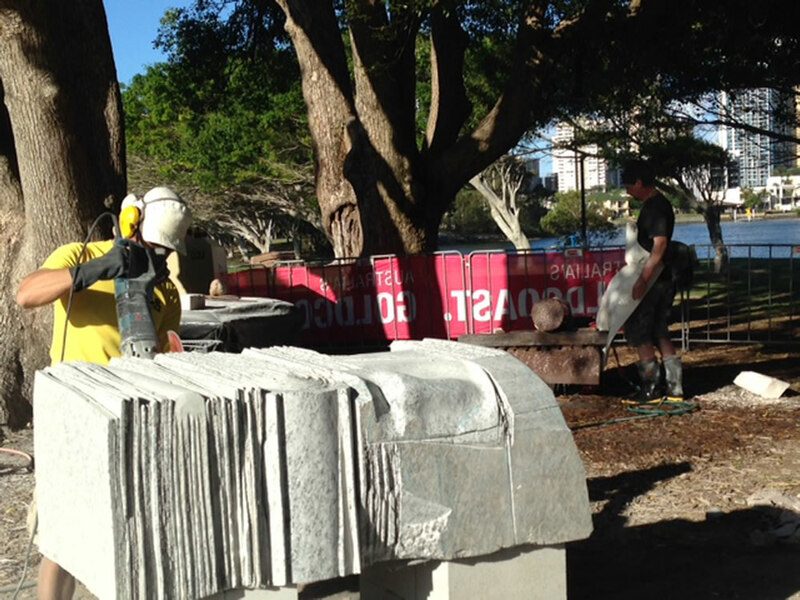 To achieve this, leading national and international sculptors have been invited to participate in the Gold Coast’s 3rd Sculpture Symposium, taking place in the Cultural Precinct of the Gold Coast. 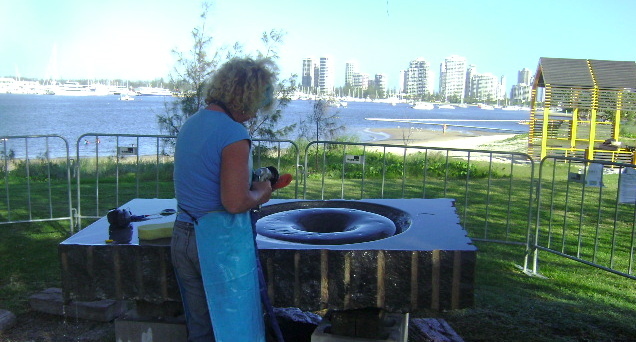 Lakeside – Art Centre Gold Coast, from March 8th – 18th 2014. 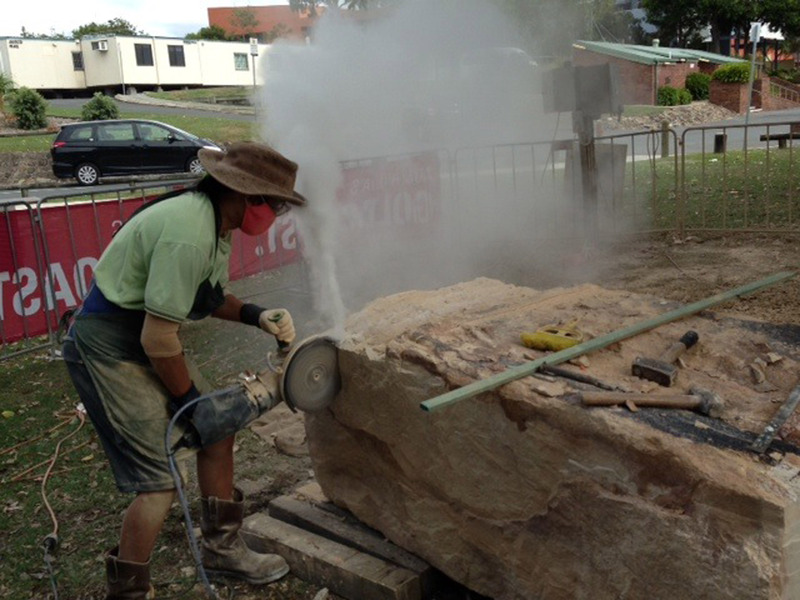 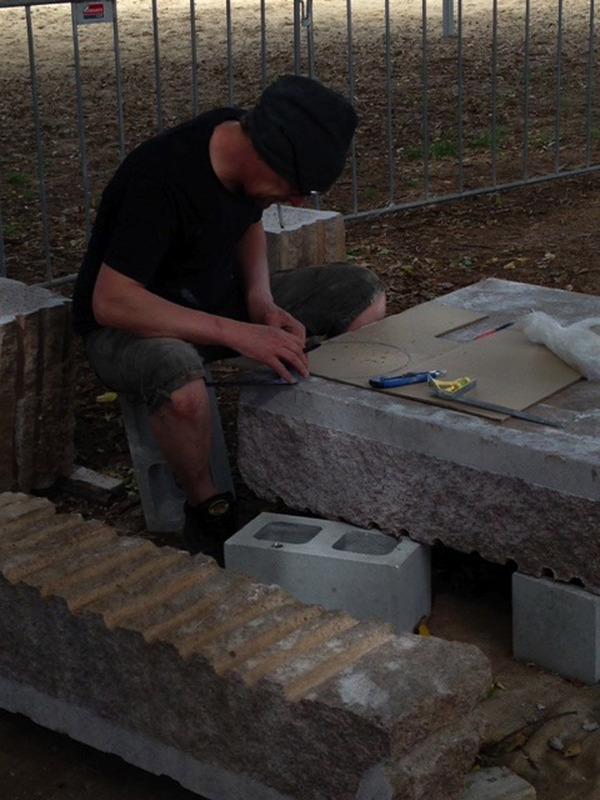 The Public will be captivated as Master Sculptors carve, chisel and sculpt giant blocks of sandstone and granite revealing bold beautiful artwork within. 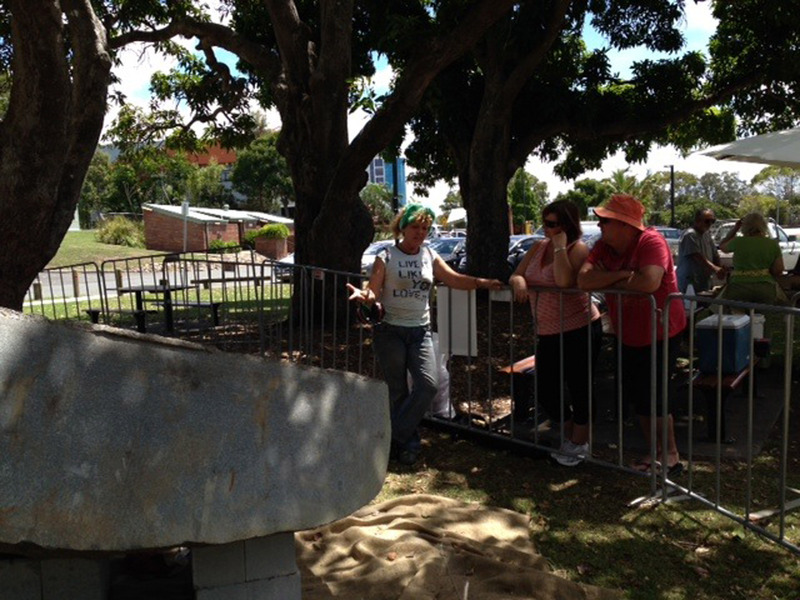 Through council, community and corporate funding, the finished sculptures will be placed for public display: enriching the region’s cultural diversity by making art more accessible within our communities. 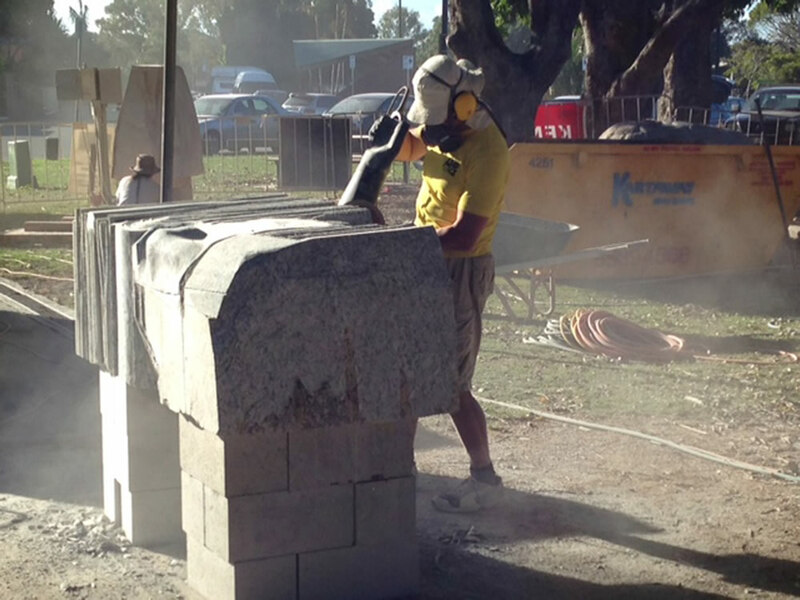 Aside from the Master Sculptors participation, the Symposium will host workshops, provide free public participation opportunities and will have a notable education focus, promoting on-site school visits. 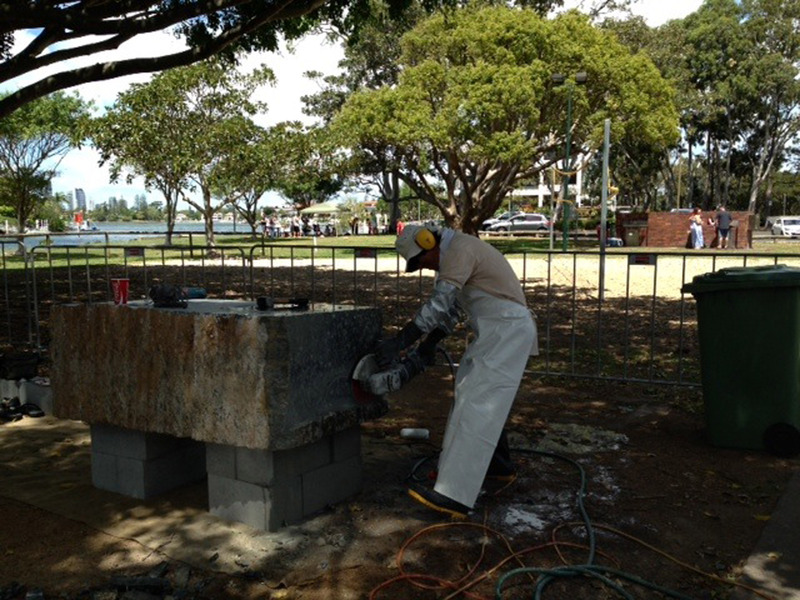 IF YOU ARE INTERESTED IN SPONSORING PLEASE CONTACT US FOR A PROPOSAL.